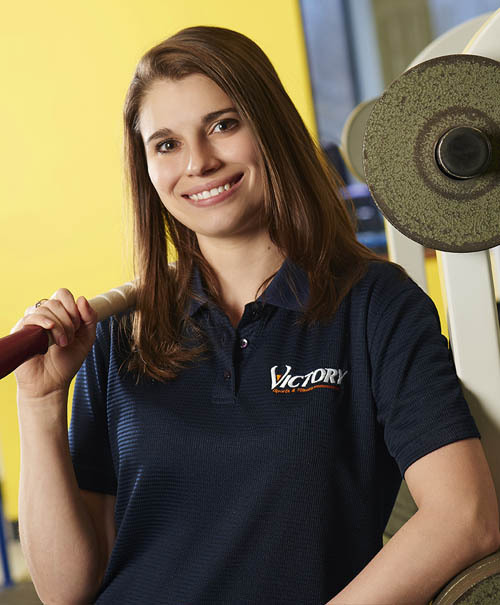 The Victory Sports Post-Rehab services are designed to cater to your personal injury history. Traditional rehabilitation techniques focus only on the parts of your body that need to heal, leaving the rest of your body to compensate. These imbalances can lead to soreness and other collateral damage. Post-Rehab exercise bridges the gap between physical therapy and fitness training. This ensures that areas of weakness are considered appropriately. We work to build strength and endurance overall by focusing first on corrective phases and then on functional strength. We begin this process with an initial consultation to customize the plan for your specific needs. Once an assessment is made, there are numerous packages you can choose from to fit your needs. 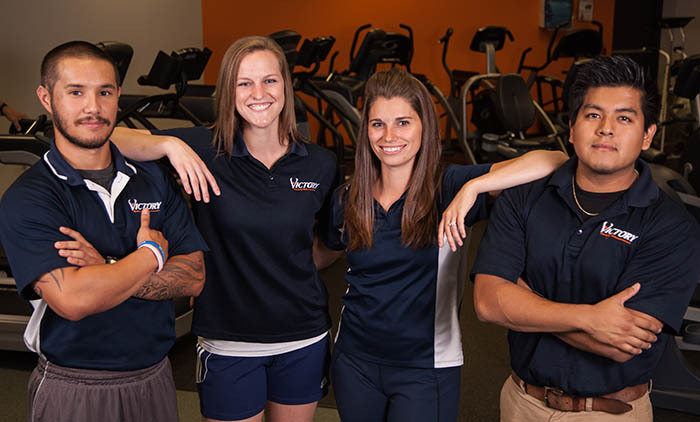 Certified Exercise Specialist Heather Everhart is the Director of Victory Sports’ RES+ORE program. Heather’s knowledge of the rehabilitation restoration process has helped her clients achieve maximum functionality after degrees of disability ranging from the natural process of aging to unique injury. Please contact us to set up a free consultation with a Victory Fitness Professional to discuss how you can regain mobility, strength and endurance to get your life back.